We already know that Pokémon will be capable of evolving into "Mega" forms in Pokémon X and Y. Now we know, with a visual sample to boot, that some Pokémon will evolve into Mega forms specific to which version of the game you're playing and which items you're holding. Nintendo and Game Freak have now introduced Mega Charizard X, the Mega evolution of Charizard in Pokémon X. When Charizard holds Charizardite X, an item specific to Pokémon X, he evolves into this freshly announced form. 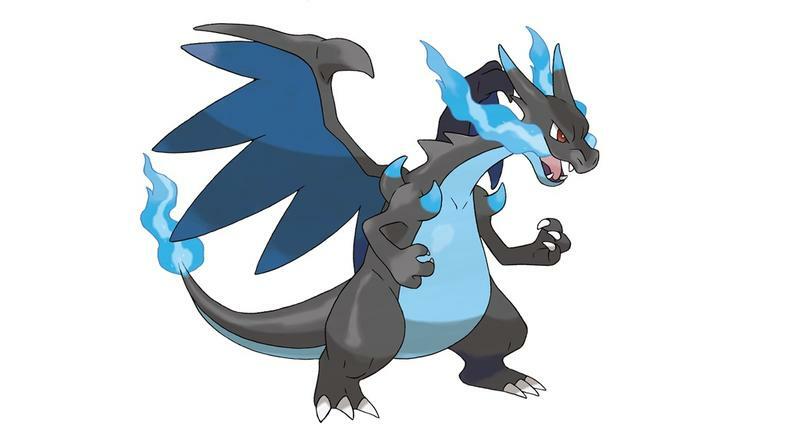 Mega Charizard X is a Fire/Dragon Pokémon, as opposed to the Fire/Flying type that you'll find in Pokémon Y. While Game Freak only unveiled a version specific Pokémon for X, I'm willing to bet that purchasers of Y will find specific Mega evolutions of other popular Pokémon. Has this pushed you towards picking up X over Y? Both games release worldwide on Oct. 12, 2013 for the Nintendo 3DS. We'll have more for them as it comes.